There’s no arguing that New York, Houston and Dallas are among the biggest cities in the U.S., and all with multiple airports. Well they’re all starting to show up on the TravelPulse survey seeking the best 100 airports in the country. Some might think they’re a little low on this list of Nos. 31 to 50, others might think they’re too high. Which, of course, makes it just right. Having two major airports in the same city is a bit of a rarity these days. New York, of course, has three. Miami has Miami International with Fort Lauderdale relatively close. Chicago certainly with its two. But to have two airports in the same city finish basically in the top 30 in the TravelPulse survey was pretty impressive. Hobby ranks 34th in the country in passenger volume, a key point made by respondents to our survey. “Houston Hobby has had great growth in accessible international carriers with Mexico as part of their routes,” one respondent said. One of the things we liked about where Austin fell in the survey is its consistency – not a single negative number in the reader rankings, with steadiness right across the board in all categories. Nothing too high, nothing too low, meaning this airport does a lot of things well. NO. 33: GENERAL MITCHELL INTERNATIONAL, Milwaukee, Wisc. See above. Just a very steady, strong showing by Milwaukee from readers. "Avoid the hassles of Chicago ... fly out of Milwaukee." Although it lost 45 percent of its flights between 2011 and 2015 according to the Wall Street Journal, the airport has been on the comeback – Delta added a new nonstop to Seattle earlier in November – and it certainly hasn’t lost any of its attractiveness. “Avoid the hassles of Chicago ... fly out of Milwaukee,” one respondent wrote. Strong showings in ease of access, terminal comfort and business friendliness propelled Columbus into the Top 35. Little known fact – Columbus also has two of the great airport restaurants in the country with the Buckeye Hall of Fame Café and the Columbus Brewing Company. Once again another airport with a consistent showing across the board among readers, especially in ease of access. “Nashville was very easy to get around,” one respondent said. Nashville also has some of the best restaurants and bars in any airport in the country. HINT: Whitt's Barbecue. South Carolina is blessed to have three pretty darn good airports between Charleston, Myrtle Beach and Savannah-Hilton Head. Charleston’s strength was in ease of access, modernity and terminal comfort. Negative points for business- and family-friendliness. Dayton likes to say it is easy to get to and through, and our TravelPulse survey certainly reflected that. Dayton finished 17th overall in our ease of access category, beating out several notable facilities. Let’s start with the good, because there’s a lot of it. JFK is, arguably, the best airport in the world in terms of volume and the literal ability to go anywhere you want. Anywhere. “JFK is quite difficult for me to get to, but has many international flights that are not available anywhere else,” said one respondent. "JFK is the worst international airport I've been to. You have to go through security for connecting, and the bus to connect terminals is awful." Where JFK loses points, of course, is the practically one way in, one way out to get there (there are shortcuts for savvy NYC drivers but it doesn’t make it that much easier). “JFK is the worst international airport I've been to. You have to go through security for connecting, and the bus to connect terminals is awful,” said a reader. San Jose earned much love, mostly for its ease of access (finishing just out of the TravelPulse top 30). “San Jose has several new options that make it easier to travel,” said one survey-taker. “San Jose CA and Norfolk VA have made good improvements over the years. I've rarely experienced any big crowds or delays in either of these airports,” wrote another. Not a surprise here. RDU earned steady marks in most categories, and has consistently been rated elsewhere as one of the top mid-sized airports in the country. The two terminals are fairly new – one exclusively for Southwest was recently renovated, the other opened just five years ago. "It's truly a great alternative to Charlotte and one that is gaining airlines and non-stops rapidly as the Research Triangle becomes more and more of a meeting hub," said one respondent. Things can get crowded, but most lines move smoothly. Not a ton of food and shopping options, but it's certainly eclectic: There is a wine-focused noshery (Carolina Vintages) across from a Five Guys/deli combo with a Life is Good store in the same corridor. Don’t be fooled here. This is a nice airport with modern features and comfortable seating, and is easy to get to and around. It also processes 2.5 million passengers annually, a pretty good figure given its location. All the New York City-area airports get a bad rap – OK, LaGuardia’s is deserved – but not all is necessarily negative. Yes, Newark is difficult to get to. News Flash: New York area has traffic problem. That aside, there is much to like. 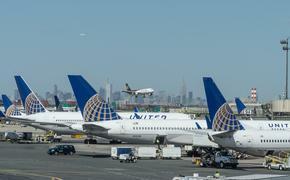 "The new United terminal at Newark is really something special. Incredible variety of restaurants and so easy to pay with the iPads." “Love Newark Airport,” said one of our experts. “Newark is great to park on site,” said another, and still a third said, “Newark had very good restaurants.” In fact, Newark rated highly – 13th overall – for its amenities. This used to be a puddle-jumper’s delight. Now, with Myrtle Beach having been built up to one of the top five tourist destinations in the U.S., the airport has several airline options and is noted for its ease of access and family friendliness. Surprisingly, it’s also reasonable in terms of air fares. According to DOT statistics, the average domestic roundtrip airfare from the Myrtle Beach International Airport was $242.93, down from $255.90 in 2015. The national average was $351.57. One of the better small airports around, earning kudos for ease of access, modernity and its amenities. The airport also offers free WiFi but most business is conducted on the nearby spectacular golf courses. "So easy to get to and so close to I-95," said one traveler. "The hotel, restaurant and shopping scene around the airport has truly taken off in the last five years. It's one of those cities where the area right around the airport is more impressive than the airport itself." If you’re willing to make a little bit longer of a drive, St. Pete is a viable alternative to Tampa International. Not that Tampa is bad, mind you, but certainly more congested. Ease of access is St. Pete-Clearwater’s big selling point, and it must be working – the airport just set a new monthly passenger record in September. Big disparity between what the readers relayed on the survey and what the experts said, but Greenville’s ease of access was a big plus. Ease of access and modernity helped carry Sacramento to a top 50 placement. Sacramento International was also ranked fourth last year in North America for customer service by Airports Council International (ACI), the international trade association for commercial airports. Love Field has a storied place in American history as President Kennedy’s arrival airport on the day he was assassinated in 1963. Today, it is thriving again with the addition of Southwest using it as a hub. In fact, Dallas-Love is so coveted that a war erupted between Southwest and Virgin Atlantic over gate space. The biggest little city in the world, as Reno bills itself, as one of the biggest little airports in the world. The 66th busiest airport in the world processes 4 million passengers annually and earned kudos for its ease of access and terminal comfort. 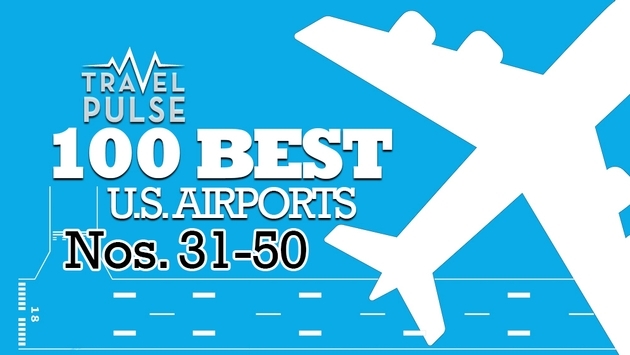 Jacksonville makes the list for TravelPulse, and that gives the state of Florida six airports in the top 50. Ease of access earned the most response from our survey of readers. The airport continues to grow in stature and number of airlines. Airport Road is the grander version of the airport-adjacent growth we talked about in Savannah. A slew of hotels, eateries and a large-scale mall and entertainment complex is all within five minutes drive of the airport and its instant access to I-95 again scores big points with travelers. While comments were generally positive for Jax, one word of caution came across our desk that we'd agree with. "Jacksonville is almost getting too big to fit the land it is on. Airport Road is becoming an increasingly slow slog. It was my little secret gem for so long. More people discovering it means big-airport problems. More airlines, but mo' problems."